The consumer product safety commission estimated that in 1998 clothes dryers were associated with 15,600 fires, which resulted in 20 deaths and 370 injuries! A vast majority of these fires could have been prevented with a little home owner style maintenance. The duct work that exhausts all of that warm dryer air is usually the culprit, and as far as routine home owner maintenance, is usually completely forgotten about. Ideally these ducts should be hard and completely smooth. This minimizes the slow down of the hot air that will cause lint to build up. This means that the flexible corrugated metal ducts that all do-it-youselfers love are terrible. Everyone of those little ridges in the duct pipe create turbulence that slows down the flow of air. Fire hazard or Dryer duct? Both. Even with hard ducting the joints are a critical point of contention. With forced air furnaces, the joints between one hard duct to another, are usually secured with sheet metal screws. If this technique is put into practice with dryer ducts all of those sharp little screws that are in the flow of air act as lint catchers. The moral of this story is: If you have not cleaned your dryer and ducting recently it is time to do so. 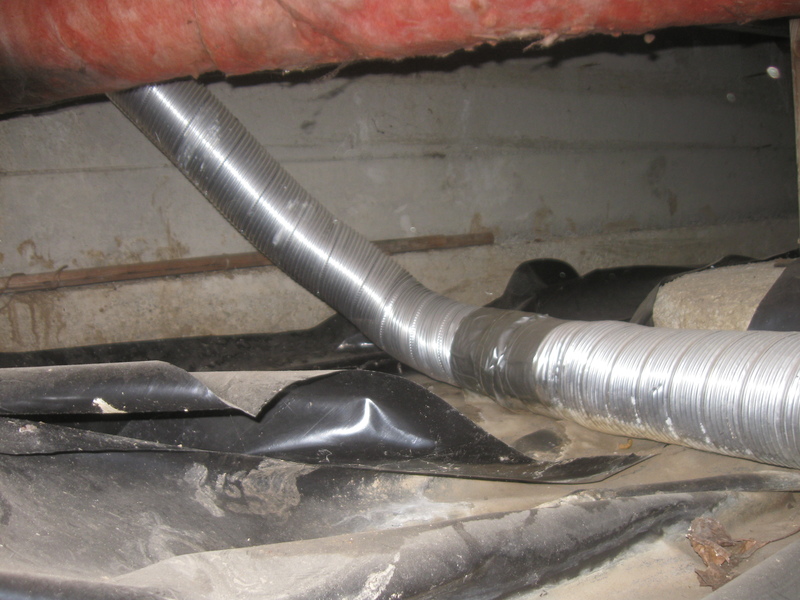 If you have an issue with the duct and need to install a new duct, it is usually best to hire a professional to install a HARD DUCT with proper seams that are TAPED and not screwed together. My job as a home inspector requires me to crawl and poke around other people’s homes every day and this is one of the most neglected fire hazard that I see. ← That’s what that thingy is for? ?